A blast for individuals, friends, & family! At the Heritage Guild, it’s all about YOU! Try Before You Buy... AND SAVE! Shop the Heritage Guild Online Store today! Want to sell your used firearms or antique gun collection? We buy single firearms or entire collections. Check out our firearms and archery ranges - including tactical and rifle! Want to add excitement to your day? MACHINE GUN RENTALS available by the hour and for events/parties! Now booking post-holiday parties & events! Tactical Skills and Drills Nights are back at Heritage Guild of Easton on Thursday Nights. The Heritage Guild at our Easton and Branchburg locations teaches firearms and archery courses. 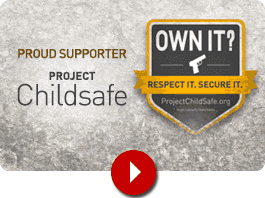 Learn to select and use your firearm in a safe, supportive environment. Thursday is Ladies Day! Visit our range in Easton and take advantage of these great daily promotions! Test fire guns on our range and receive a credit towards a firearm purchase that day! The Heritage Guild introduces its first competitive shooting team. FREE seminar on how to buy a firearm. 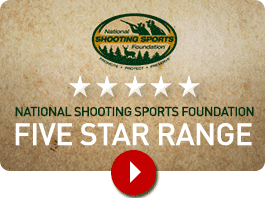 We are proud to support the National Rifle Association and the National Shooting Sports Foundation. We are always interested in talented people who want to work in an exciting and friendly environment. "I would like to take this opportunity to bring to your attention the outstanding job Connor Gallagher has done in making Thursday Night Skills and Drills a great experience!" "I wanted to thank you and Shane for an EXCELLENT time... You were super and exceeded my expectations!..." "Greetings! I am writing today to pay compliments to your staff at the Easton Facility. Having no experience or exposure to firearms, I attended the Women's eight hour NRA class June 20th." "I wanted to personally thank you for the inspiration, kindness, and support you have extended me! I am taking this course now because you made it possible for me. You were the most patient..."
"This place is awesome. Very friendly and knowledgeable employees in the archery section and a great range. Highly recommend to all sportsmen." "The Heritage Guild in Easton has to be one if not the best to shoot at in the PA/NJ area. Took my son here over spring vacation so he could see what it is like to shoot a gun. From the first..."
"These guys are incredible! We took the basic archery safety course several weeks ago which was excellent. Then my family returned to gear up with accessories. Everyone we encountered was..."
"I visited the Heritage Guild in Branchburg, NJ today and the services they offer their customers is absolutely outstanding. I recommend anyone to visit this location. The sales personnel..."
"Amazing bachelor party experience. We had an excellent time and for much less than we expected, cost-wise. Thank you, Kevin and staff. Your facility is top notch and highly recommended by me." "Nicest staff members going and the Easton location is a great home for our The Well Armed Woman chapter!" "I took the Handgun 101 for Women. Rich was a great instructor. In the range, Shane helped us with the revolver. He was patient with each of us and serious about gun safety. I am excited about..."
"Had a great time shooting today for the first time. My instructor was AMAZING!!! Will definitely go back and join!!" "I had a great time at the Easton range yesterday. The staff there is pleasant and professional. The ranges are top notch, clean, and well designed. It was nice as well to be able to pick up..."
"First time visitor tonight at the Ladies Night Event, definitely will not be the last time. Considering the size of the crowd tonight, this was a very well organized event. The staff were..."
"Went to Easton for the eight hour NRA Basic Pistol Course. Fantastic job by both instructors! Will be back for more classes!" "Went there for the first time a few weeks ago, gotta say it's a very impressive place. Got it all. Can buy guns and bows. Shoot guns and bows there. And the lanes are very well lit. You can see..."
"New favorite hang out... awesome staff and the new archery center is top notch."